The St. Pius X Christmas Classic is designed to bring together Catholic High Schools from across the country to play in a highly competitive tournament. Since the event was started in 2000, the tournament has been host to some of the best in Catholic school basketball with teams coming from 22 different states and the District of Columbia. fifteen minutes from downtown Atlanta and a short drive from most major Atlanta attractions. All games are played in St. Pius X's two full-sized game gyms. Activities include 3 games for each team, Catholic Mass and dinner for all the teams, and a player dance. 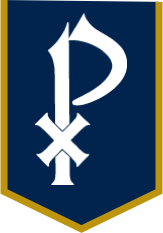 The St. Pius X Christmas Classic has become known as one of the premier Catholic school tournaments in the country. The St. Pius X Christmas Classic, December 27-29, 2018, includes 16 teams from 8 states (Florida, Georgia, Louisiana, Maryland, North Carolina, New York, Ohio and Tennessee). There will be eight boys teams and eight girls teams. The participating schools are identified below.